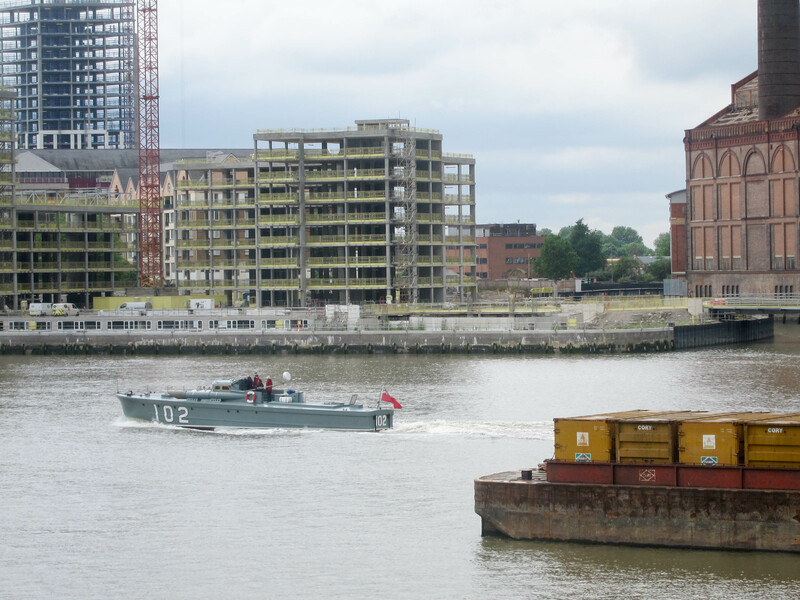 Living on The River I see lots of interesting boats pass my window but today was the first warship. It must have been on it’s way to Henley on Thames for the Traditional Boat Festival this weekend. Motor torpedo boat MTB 102 is a pretty little boat with an interesting history. MTB 102 was launched in 1937 and was the fastest vessel in the Royal Navy with a top speed of 48 knots. From 1939-40 she was stationed in the English Channel and took part in the evacuation of Dunkirk. When Rear Admiral Wake-Walker’s destroyer, HMS Keith, was disabled by a Stuka he transferred to MTB 102 and for the last two nights of Operation Dynamo MTB 102 became the smallest vessel ever to serve as a flagship for the Royal Navy. 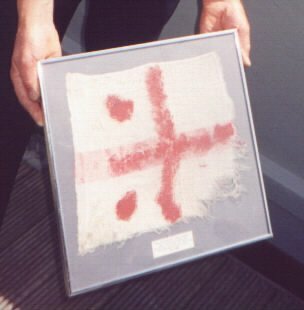 There was no Rear Admiral’s flag onboard so they made one from a dishcloth and red paint. She was the third to last vessel to leave Dunkirk. In 1944 she carried Winston Churchill and General Eisenhower to review the fleet for Operation Overlord, the invasion of Normandy. In 1976 she was used in the (awesome) film The Eagle Has Landed. You can read more about her at the MTB 102 Trust website.